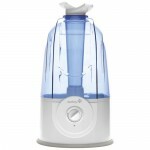 During winters, Vicks Warm Mist Humidifier can be a great relief of cold and flue symptoms. 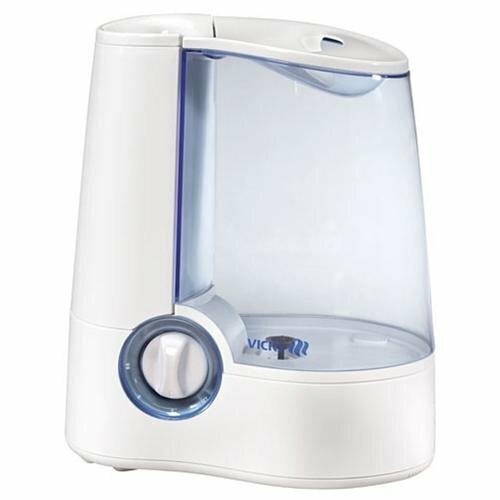 Place one unit in the nursery to release warm, moist air into the room, it boils water to pure steam vapor up to 96% bacteria free. It has one gallon capacity that operates up to 12-hours on a single filling, your baby will sleep through the night comfortably without having to worry about dry air. 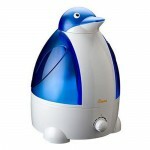 Unlike many humidifiers in the market, this unit works pretty quiet, if you set the low setting, you might hear the sound of a pot of water boiling, but not in your room, perhaps next room. In comparison to the high setting, the sound of water boiling happens in your room. So, it’s pretty quiet, don’t you agree? 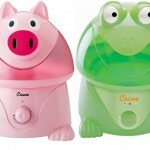 This humidifier also emits soft, glowing nightlight, which is perfect to illuminate the baby’s room. 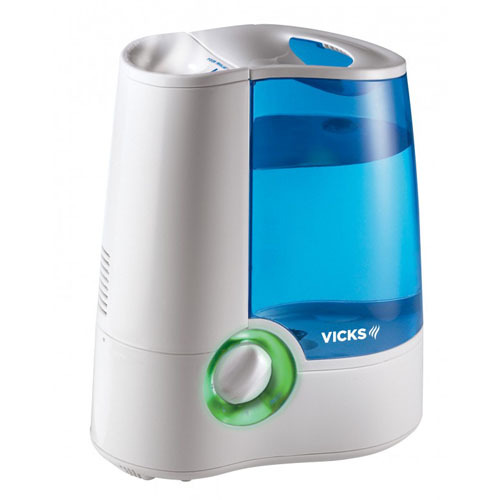 The price tag is pretty reasonable and it works pretty nice, the medicine cup can be filled with Vicks Vaposteam or Kaz Inhalent in order to produce medicated vapor to sooth your baby. Even though the company claims it lasts 12-hours on a full tank of water, according to a customer, it actually lasts more than 24 hours on low setting. On high setting, it lasts for about 8 to 9 hours. The auto-shutoff feature is a great additional function when you forget to turn it off.